Cedalo was honored for its innovative “Stream Spreadsheets”. 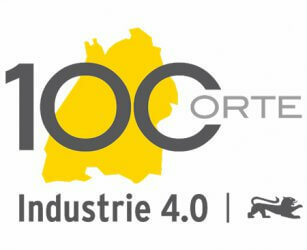 Economics and Labor Minister Nicole Hoffmeister-Kraut honored the current winners of the competition “100 Places for Industry 4.0 in Baden-Württemberg” on Wednesday, 6th of December. A total of 28 companies and institutions were awarded, which have successfully implemented digitization solutions in everyday operations. With the competition, the “Allianz Industrie 4.0 Baden-Württemberg” is looking for innovative concepts from the economy, which are successful with the intelligent networking of production and value-added processes. In addition to the degree of innovation, the expert jury also evaluates the concrete practical relevance for Industry 4.0. The award-winning projects covered a wide range of industries and technologies and showed that “Industry 4.0 not only affects specific industries such as mechanical engineering or the automotive industry, but the entire industrial value chain,” says Hoffmeister-Kraut.